The Renaissance was a period of artistic and intellectual rival, and now you can bring your own miniature renaissance to your dining room table! 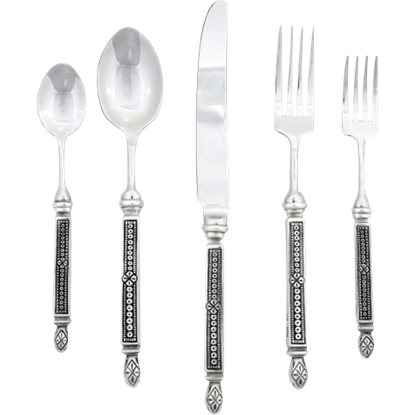 The Medici Fine Dining Collection is a collection of table and eating accents that takes inspiration from the era, bringing elegant details to your home to perfectly accent your next formal dinner or feast. Named after the Medici family, this collection focuses on the traditional fleur-de-lis, which adds a medieval sort of flare to almost any setting. White stoneware plates accented with pewter fleur medallions match bowls and chargers, allowing you to create a pristine place setting for each guest at your table. 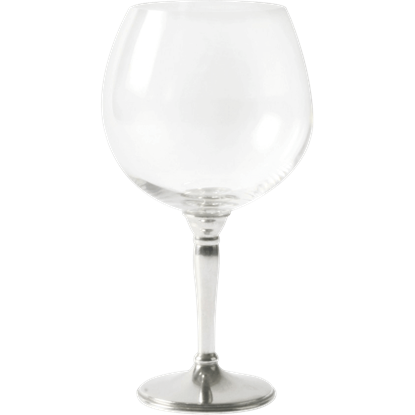 Cocktail and wine glasses sport stems like tall columns, and go perfectly with the scrollwork inlaid tags that you can hang around the necks of traditional decanters. Elegant yet not overdone, these pieces allow you to bring something artistic and subtle yet supremely functional to your table. Touches of scrollwork and some classic medieval symbolism blend perfectly with pewter, glass, wood, and stoneware in this collection, ensuring that each element is one that will impress. 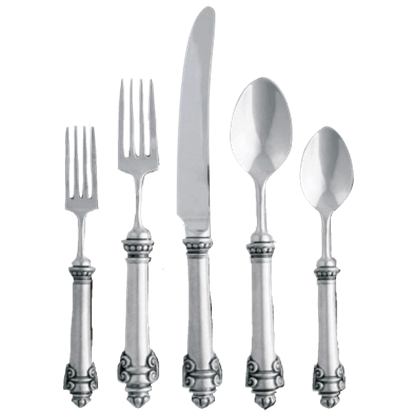 Perfect for a fine dining experience, the Medici Collection lets you decorate your table in a way that will make your guests feel like princes and nobles. You can fill this beautiful glass pitcher with lemon or cucumber slices to create your own spa-like experience. 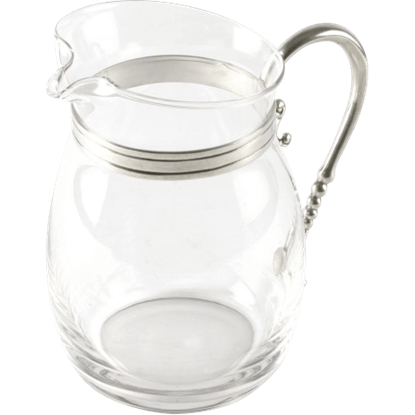 The Classic Curved Glass Pitcher is made from crystal clear glass to show off fruit and other flavors in your drink. Slightly colonial and elegantly spare, the Classic Oil and Vinegar Set showcases the natural beauty of these simple condiments on your table or buffet. 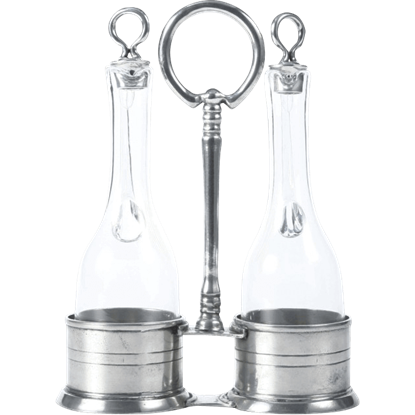 Two clear bottles nestle in the tooled pewter oil and vinegar caddy. 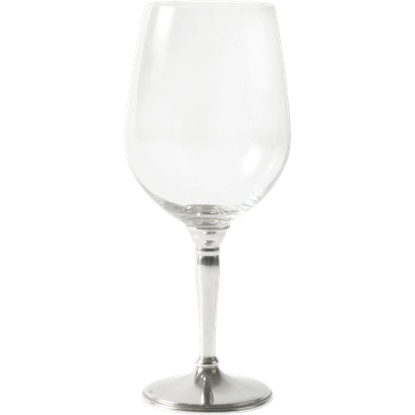 Designed to complement any style of dinner service, the Classic Pewter Red Wine Glass looks lovely on any table. 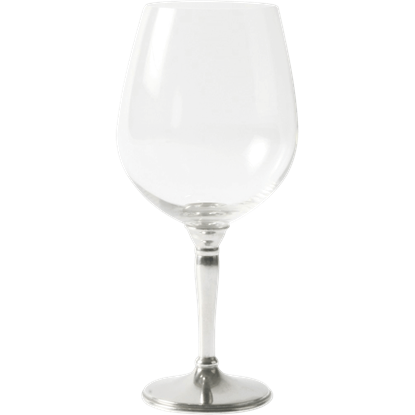 Whether you are serving a weekday dinner or hosting an elegant formal dining event, you can enjoy this classic glass. Combining classic lines with a hint of colonial style, the Classic Pewter Top Short Decanter is a welcome addition to any home bar. 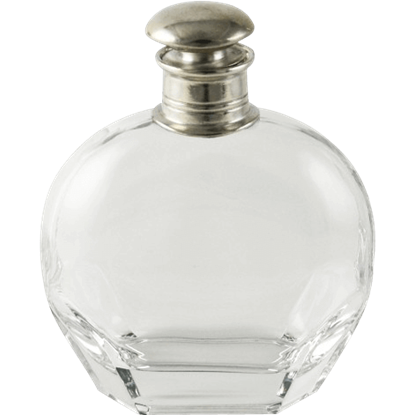 With a minimalist design, this glass decanter suits traditional or contemporary decor. Combining classic lines with a hint of colonial style, the Classic Pewter Top Tall Decanter is a welcome addition to any home bar. 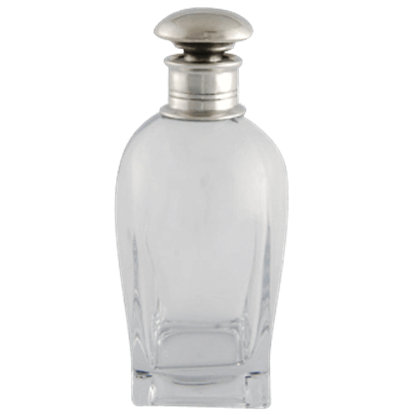 With a minimalist design, this glass decanter suits traditional or contemporary decor. Combining classic lines with a hint of colonial style, the Classic Pewter Top Wide Decanter is a welcome addition to any home bar. 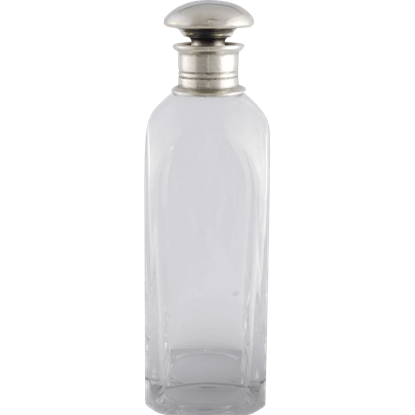 With a minimalist design, this glass decanter suits traditional or contemporary decor. 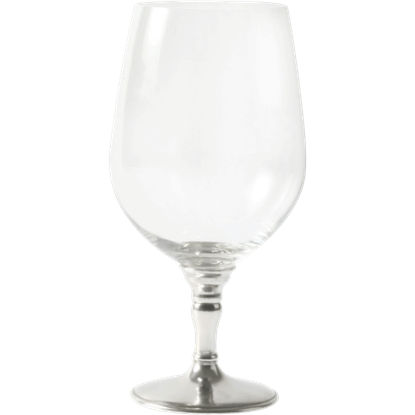 Designed to complement any style of dinner service, the Classic Pewter Water Glass looks lovely on any table. 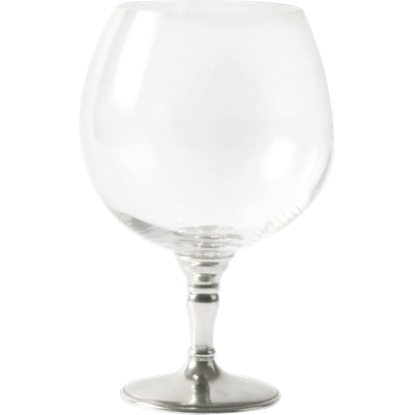 Whether you are serving a weekday dinner or hosting an elegant formal dining event, you can enjoy this classic glass.